The McGregor Group provides full service legal video solutions ranging from witness preparation to cutting-edge trial technologies in and out of the Cleveland courtroom. 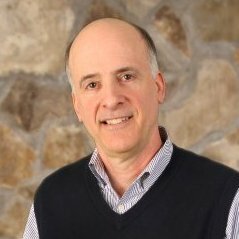 As a Certified Legal Video Specialist (CLVS) for over 20 years, Keith is experienced in providing solutions to the unique and precise challenges that today’s litigators face. The McGregor Group has assisted national and international litigators in a wide range of legal cases covering asbestos exposure, medical malpractice, employment disputes, wrongful death, intellectual property and patent infringement, trucking accidents and maritime law cases. Keith has testified as a video professional and expert witness and has extensive experience in witness preparation, mock trials, and evidence presentation. The McGregor Group’s all digital production methods make depositions, site surveys, Day in the Life productions, and settlement videos easy to integrate with the latest trial presentation software, including Sanction and Trail Detector. The McGregor Group is affiliated with the Ohio Court Reporters Association and the Society of Northern Ohio Professional Photographers (SNOPP). We look forward to servicing your Cleveland legal videography needs with the professionalism you and your clients deserve. 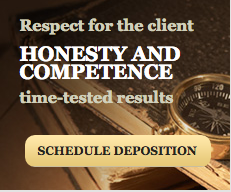 Schedule a Deposition today, or call for a free consultation. Find out which of our services best meets your legal video and trial technology needs. Call for a free consultation. As a Certified Legal Video Specialist for over 20 years, Keith McGregor delivers full service legal video solutions ranging from witness preparation to cutting-edge trial technologies….